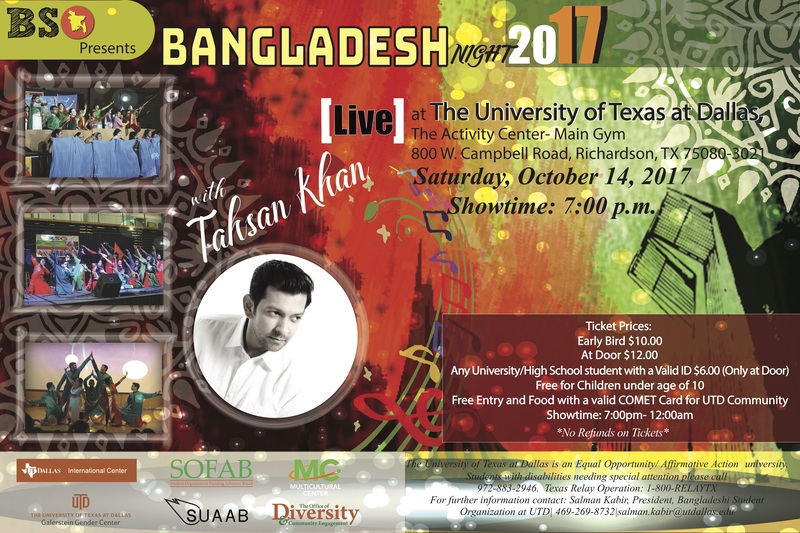 We are proud to announce that Bangladesh's Megastar, singer, composer, musician, actor and a pioneer of alternate music scene in Bangladesh- TAHSAN KHAN will be performing as our guest artist in this year's Bangladesh Night 2017 As you have come to know, Bangladesh Night is BSO's flasgship event where students, alumni and community members come together to celebrate and represent the rich culture of Bangladesh through drama, music and various cultural dance performances. Due to situation outside of our control related to Visa, Habib Wahid will not be able to attend this year's event as planned. We sincerely apologize to Habib's fans and he is as frustrated as we are about the situation. But we believe, that as part of the Bangladeshi Community, you'll support us and rock with a musical phenomena of equal stature- TAHSAN KHAN. See y'all !